So I managed to get an appointment with the dentist yesterday. The outcome was not good. The little gaping hole was actually not that big a hole but it’s the tooth that I should be worried. The dentist did a quick patch up job and explained that the hairline crack splitting my tooth down its middle has grown! Oh dear. The next big impact may result in it to be pulled out. Gulp. Not good at all. What have I been eating? I thought I have been very careful but he said it is no point to chew on one side because the hairline crack has been in existence for a while now. No matter how I eat, there will always be grinding and force even if I used only one side. Last night I flossed my teeth and felt something sharp. A little chip… uh oh. Methinks at this point, that day will come sooner than later. It is exhilarating to finally see the sun and feel some heat. The past several days, there has been a change in the weather. Strong winds and lots of rain. The haze is slowly ebbing away, slowly but surely. School has been back in motion with M2 studying away in preparation for the postponed final exam but golf activities are hampered by rain this time. Can’t win them all but I am not complaining. Breathing is better, vision is clearer and blue skies are here! Yay. My tooth’s filling fell out again over the weekend! The top right premolar. This time I am not sure how or what. There was no crunch sound nor any remnants of a tooth filling in the mouth. I don’t think my Sunday morning breakfast of scrambled eggs on toast, followed by some crackers caused it. Something definitely came off because I can feel the irritating small gap with the tip of my tongue. Sigh. Another visit to the dentist soon. It was Friday and we were on our way home. The rain came down heavily and I was tired, having used quite a fair bit of my creative brain cells in the office. Hubby was driving so I whipped out my iPad for my usual dosage of my games during the unusual hour long journey home. Can’t live without them, you know… the games, not the traffic. I must admit I did play some virtual games in the office whilst being stumped for ideas. Usually all the King.com games can be played offline so routinely, I did my usual three. Then I moved on to Monster Busters. Now this game cannot be played offline. It would prompt you to go on as guest because there’s no connection but I didn’t try. So I exited and left it as is, without further thoughts to it. That evening, after a hearty dinner, it was time to unwind. I reached for my trusty iPad and launched Monster Busters. 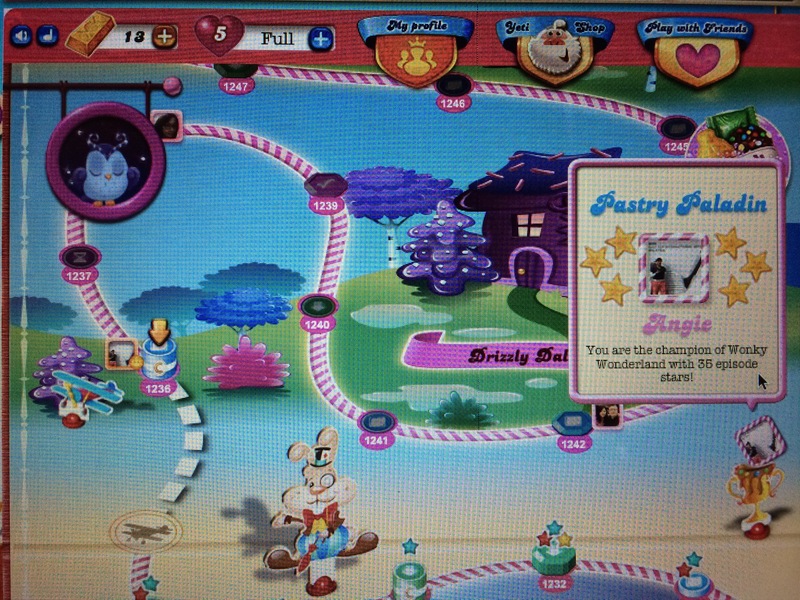 To my horror, when the game launched, I was at Level 1! Oh my gawd. What happened?! I should be at Stage 595 but, no, I was right at the beginning. I freaked out a bit. Closed the app and relaunched. Same thing! When I told M2, she asked if I was logged in to Facebook which I was not; this happened when I tried playing the game offline earlier in the car. Thank goodness after connecting to FB, I catapulted back up to Stage 595. Phew and double phew! Moral of the story here, never try to play offline when they tell you so. Today the hazy condition improved slightly and schools finally reopened. So M2 is back in school. Miraculously, strong winds did come and blew the haze up north. Hooray for us. But alas! The people in the northern region are now suffering the fate that befell us a few days ago and schools there are closed. Well hazy or not, my virtual games progressed well. I have finally moved from the super tough Level 804 in Farm Heroes and super duper tough Level 512 in Candy Crush Soda. 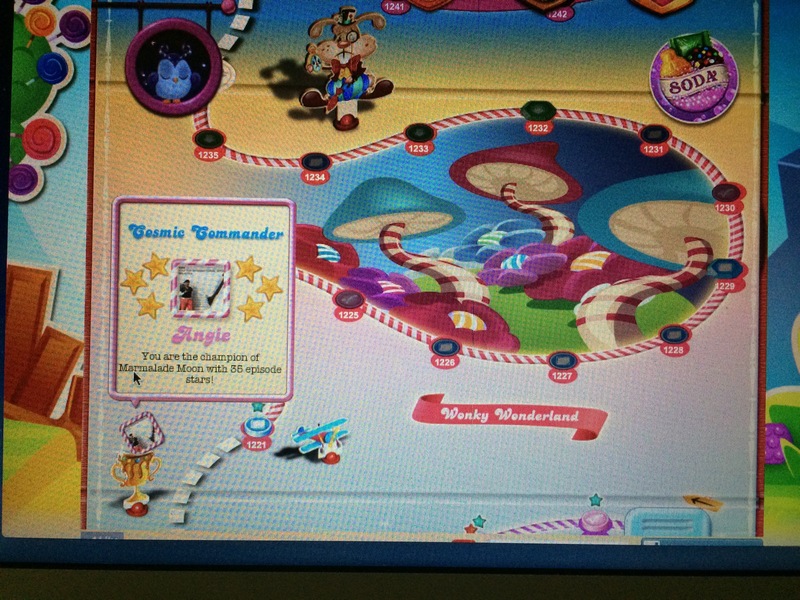 As for Candy Crush, hooray to say I am crowned champ yet again earlier this week! Not a Miso or Mushroom Master but a Cosmic Commander of Marmalade Moon. And this morning, to my pleasant surprise, upon my completion of the chapter, Wonky Wonderland, I found myself crowned ‘Pastry Paladin’ for it. The epic hazy condition continues! Schools remain closed for the fourth day consecutively, an unprecedented record. The only time school is off is when there is a holiday stretch or a scheduled break, nothing like this before. This shows the severity of the unhealthy conditions that has enveloped the region. Just imagine, every time when I am out, especially driving, I feel the need to clean my glasses constantly because things are not clear and crisp. The opacity percentage in the atmosphere is as if someone’s fooling around with the opacity level in Photoshop. Let’s add another ten percent! Make the background building be gone! Whee…. When will our misery end? This is far worst than the previous years. All this inhalation and suffocation. Maybe we need some super divine intervention more than wind? 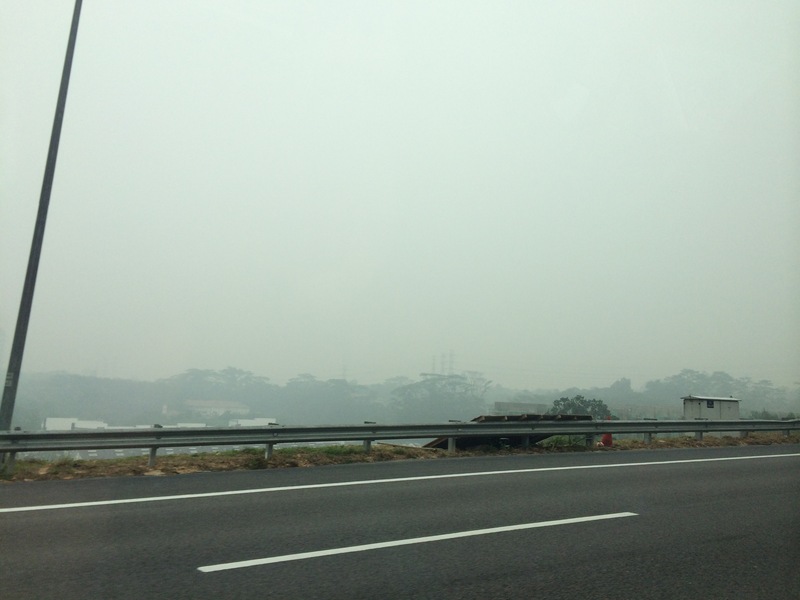 Just when we thought things are okay and bearable, the haze is back! I even played golf over the weekend. Schools are ordered to be close yet again today, disrupting the schedule. While M2 is happy that she can sleep in, she lamented that she is losing out and missing the opportunity to ask her teacher on one of the subject that she needs help in preparation for the year end exam. This year, schools have closed a couple of times now because the air outside is unhealthy. Sigh. What can we do? Many bouts of afternoon downpour has not helped to ease choked up air. As I have said before, we need wind more than rain but it is so not happening. With the new aquarium and four new fishes, we were at a loss what to name them as we decided to give the name ‘Bob’ a rest. M2 and I separately checked out websites for ideas; she at bettafishhome.com and I at cuteness.com. My site had 100 popular names for fish and incidentally, Bob IS on the list too, sitting at number 42. It’s hilarious what we found. In the end, she named her Betta, Svetlana (chortle!) as if it’s Russian or Eastern European when most Bettas are usually Asian especially from Thailand, hence Siamese. I decided to go with a less exotic name, Bubles and hubby named his, Finney. The fourth fish remains unnamed. Perhaps we will Skype with M1 for suggestions.